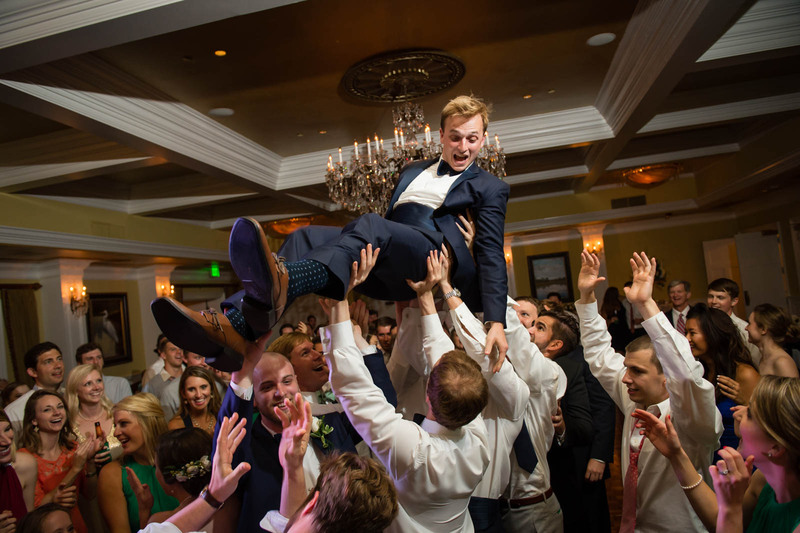 Guests at the a reception taking place at the Orangeburg country club lift the groom in excitement and celebration. The Orangeburg Country Club was the perfect spot for this bride and grooms wedding. This Country Club has a grand ballroom that is great for any size of guests to dance the night away with the bride and groom. The grooms men decided it would be a fun treat to carry the groom over their heads into the reception, which was a really fun idea, you can tell by the grooms face he was a little worried. But all in all it was so fun and really brought the party to life and be a night no one forgot.